Those coins are difficult to get in PF70!!! Surprisingly cultural silver proof coins are fairly easy to get PF70, this particular coin has 20% PF70 yield. I haven't been that lucky! Early collectors of these coins probably had a better chance of scoring high grades. Most of these coins I bought were not even in OMP. Few got PF70's after conservation. I am still happy with the lot! IMO, in later 2012, when NGC started grade MCC inside China, the grading standard has relaxed somewhat and more 70 coins were shown up. The data in the following two threads clearly suggest this trend. 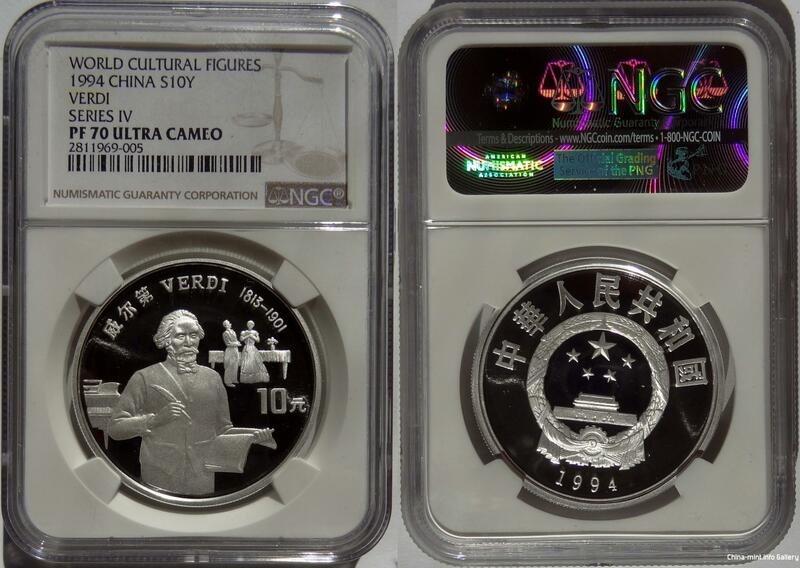 It could be combination of relaxed grading standards or better quality coins exist in china, less handling for sure compared to coin that was shipped to the US, carried to shows, mailed to customers, etc, while the mainland coins sit at store or safe until someone buy them. For me NGC grading as really tightened up in the last two years, last batch of 27 coins only 1 MS70, previous batch of 36 only 1 also. This weekend I bought a nice collection of 1994-1999 key fractionals from original owner, hoping these will earn some MS70s. Historical figures series were commissioned by Germany distributor and 100 % exported to foreign countries. Chinese dealers have to buy those sets from outside China. The coin is loosely secured inside the capsule, therefore, extra shipment from foreign countries back to China will further damage the coin. I believe I bought most of mine from China, so possible additional shipment related damage! It is hard to believe 100% exported. I see so much silver in the Chinese coin market that it makes me wonder how much was really exported. As for gold panda those were rarely found in the coin market before 2011.